Various sources stated that jury selection will continue on past today. That came as no surprise. This is a serious, high publicity case. Judge Perry may want a jury yesterday, but he is doing as best he can to be fair to the prosecution. After the many decisions both he and Judge Strickland have made over the years, it would be a travesty if there were a successful appeal, should Casey Anthony be found guilty. Patience, friends, patience. I'm sure many of you are just about out of patience, but the jury will be struck and the trial will happen. I, for one, would hate to have to go through it again. It's time for this trial to be over and for life to move on for everyone. Casey Anthony entered the courtroom at 8:26. It looked like she was wearing her mother's cover-all long white sweater with a white shell underneath. It would have been nice to see some color showing underneath (not that I'm a fashionista or anything!). Judge Perry entered the court at 8:30 sharp and we began another day of jury selection. There seemed to be a problem with juror 3119. According to Judge Perry, this juror was supposed to leave on vacation Tuesday and was somehow overlooked in dealing with hardships. Perry asked her to explain and she said that she has a vacation planned for tomorrow. She asked to come in today to straighten the matter out. Judge Perry said to the attorneys that they could question her more, but didn't want these people used as "widgets". Frank George indicated they wanted to question her. Perry said that they had better not go through all the questioning and keep her only to be back-struck tomorrow and have lost out on the vacation. When she took the stand, number 3119 said that she had seen some media about the case. She said she had seen the news early on but didn't remember a lot of the facts. She said she is not a huge news junkie. She said she didn't have any pre-judgements, she just didn't know. Jose Baez stood and took a smiling bow when she mentioned that she recognized him from the Today Show. She said she hadn't formed an opinion of him from viewing the show. Jose Baez questioned her about the details she recalled. She replied it was the missing child aspect of the case that struck her the most. She also remembered the discovery of the body. She could not remember the job or the name of Roy Kronk. This prospective juror had a problem with the presumption of innocence. Baez asked her twice is she "knew" Casey was innocent which was impossible to answer. Judge Perry read the rules and wanted to know if she could "presume she is innocent." There is a difference! She finally said that she could say that she is innocent NOW. We learned that she is also a nurse. Next was the death penalty questioning. She told the judge that she is not against the death penalty and that she has no strong feelings either way. We went through the usual explanation of how the death penalty is decided and the extensive questioning by the attorneys that follows. Jeff Ashton reminded her that she has a young child and wanted to know if the youth of the victim, so similar to her own, would have an effect on her decision. She stated that it wouldn't. On Ann Finnel's "ruler" this witness said she was a 7 concerning the death penalty. General voir dire was next. 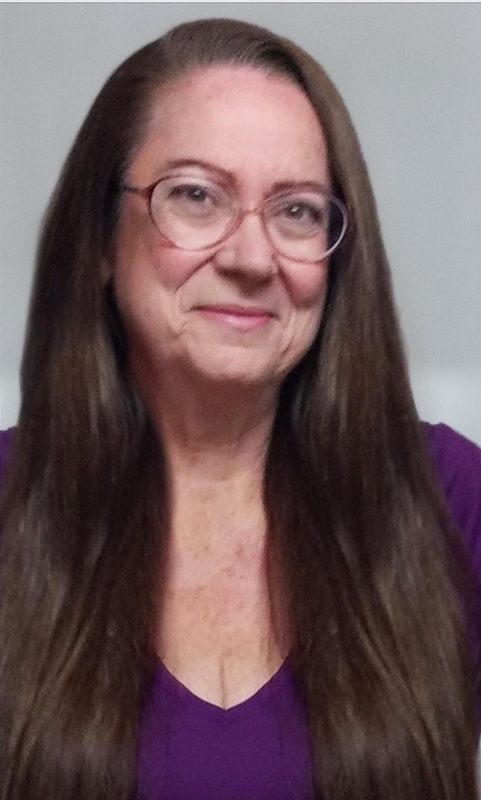 Linda Burdick questioned her. She is 32 and married with two children. She is an operating room nurse. Her husband is a banker. Her only contact with LE was that she had a car stolen and returned. There is a malpractice case against the surgical center where she works. She never went to court for that and only gave a non-sworn statement. She has a lot of support with child care while she would be gone. Jose Baez said he would pick up where Linda Burdick left off. He asked her if she would like to serve on the jury. She said she would and gave some excellent reasons why. Baez then went on to "paid" witnesses who had profited from their involvementt in the case. He then gave the reasonable doubt speech and remembered to ask a question or two about it. Defense wanted the juror excused for cause on death penalty areas (couldn't consider age or mercy) and issues of presumption of innocence. The state objected to the cause. Jeff Ashton discusses the age issue and that the juror is not closed-minded about the issue. She stated she would allow for reasonable doubt. Judge Perry pointed out that mercy is not an issue. He also pointed out that she said that she didn't know that Casey was innocent, which was the question Baez asked her. She had stated she had no opinion. The defense used its second peremptory challenge and the juror will get to go on her vacation. After a short break, Casey was brought back into court and the lawyers went to the bar for a bench conference. Voir dire for the second prospective juror, number 1025 began at 10:15. The only information he recalled was that a child had gone missing, had been found dead, and that the mother had been accused. He said he'd not had any discussions about the case nor had he heard any discussions. He hadn't formed an opinion about Casey Anthony's guilt or innocence. Under questioning by Jose Baez, he said that his wife had followed the case but didn't share any information with him. He said he had no opinion about the death penalty. He eventually indicated that he could vote to impose the death penalty. Ann Finnel didn't ask any questions. She has a bad cold and I would assume she had heard enough from this person. 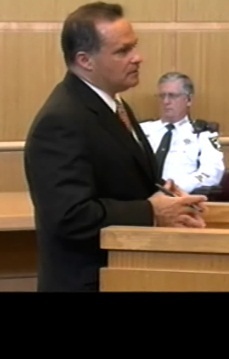 Frank George then approached about the general voir dire. We learned that he is 33 and is married. He has two children, ages 6 and 1 1/2 . He had been called once for jury duty but had never heard a case. He is a chef for a manufacturing representative. He works with customers and hotels. This juror said he really didn't want to be on this jury. Jose Baez started with a little joke we could have done without. Then, he went through the tedious discussion of jury instructions we've heard before. This juror passed muster and became number thirteen on the list. Prospective juror 1007 was next in line. She is one who was in court on Saturday and volunteered to come back today. Her memories of the case go back to 2008 and she remembered something about a baby sitter and Universal. She said that she didn't remember much discussion about the case at work. She said she had not formed an impression of Casey's guilt or innocence. She said her mother is a lawyer (not a criminal attorney) and she has respect for the system. The judge did elicit from her that there could have been some neglect of Caylee. She said that, after a full week of soul searching, she could set her opinions aside. She also said that she wished that she could say the opposite to get out of jury duty. Linda Burdick asked more about what she remembered about the case. She did remember that Casey took the police to Universal and it turned out she didn't work there. She's more a CNN watcher than a HLN watcher. She also remembered the baby sitter, but not the name or the circumstances. Just prior to coming for jury selection, she heard a CNN program which briefly mentioned the ability of the defense lawyers. Judge Perry had a chuckle with her when she said that she thought the trial had already taken place. Jose Baez was up next. She told him that she read the jury selection was coming to Pinellas County when it was in was in the St. Pete Times. 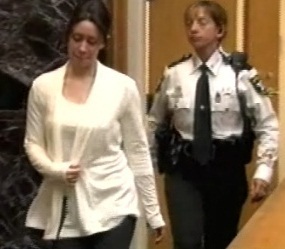 Entering the courthouse, she pretty much ignored the media and knew there were several cases going on. Then, she had a gut feeling. She went for jury duty twice and wasn't chosen either time as the cases had settled. She felt it would be a solemn decision to impose the death penalty. She said she could decide life or death based on the law. Neither Ashton nor Finnel had any questions. In general voir dire, we learned a little about her background. She is 41 and is divorced from an engineer. She doesn't have children and has one younger sister. Her sister is the head of an aging system here. Burdick went through her work history in depth and it seemed she worked for a lot of organizations that deal with social welfare. Jose Baez came up next and asked a few questions. One thing that I noticed was that he asked his questions straight on and didn't skew them in a confusing manner as he has done in the past. The defense challenged for cause. She answered "I don't think so" on one question about putting her opinion of the case aside. The judge asked Baez what opinion she had. The juror never said what opinion she had about publicity. Baez said that the coverage was mainly negative! Linda Burdick said that she only mentioned something about neglect. Judge Perry denied the objection by the defense. She became number fourteen and we were really moving along today! Before breaking for lunch, the judge asked the attorneys to exercise their strikes on current prospective jurors by tonight so that those who were struck do not have to return tomorrow. When we returned from lunch, Judge Perry said that juror 3316 had a medical excuse. He is the one who has ongoing chemotherapy treatment. Neither attorney read it and he was excused for cause. The first prospective juror to be interviewed was juror 1426. Judge Perry suggested Ms. Finell take vitamin C as he observed her with numerous medicine containers in front of her. This man said that he had not really heard much about the case. Most of what he had heard was from early in the case. That included that he remembered the name. He did not remember any facts surrounding the case. He hadn't heard discussion about the case and had not discussed the case with anyone. He stated that he had no opinion about Casey's guilt or innocence. He understood the presumption of innocence. He also had no problem with reasonable doubt and the right to remain silent. Frank George then questioned the juror candidate. He asked the name he remembered and 1426 said, "Casey Anthony" and that he did not remember any other names. This fellow is a typical young man who only visited Orlando for Halloween Horror Nights and Disney. His main "news" source is ESPN! Jose Baez had no questions. This juror was concerned about a cruise on July 4th and the judge assur ed him he would be cruising unless there was a hurricane. Casey Anthony didn't seem to think this was funny. He had no opinions about the death penalty. After the usual speech from Judge Perry concerning the death penalty, he said that he could impose the death penalty as proscribed by law. The state did not ask any questions, but Ann Finnel did to confirm what the prospective juror told the judge. He scored himself a 5 on the death penalty issue. Ann Finnel's cold grew progressively worse as the day wore on. I started to feel very bad for her. Frank George went through the jury questionnaire with him. He is 22, single, and never reported to jury duty before. His is a CNA with an enhancement. He works at a hospital and is studying to become a nurse. Jose Baez asked a few questions. He mostly inquired about his hobbies and job aspirations. He then went on to the aspects of the trial we have heard before. There are no challenges to this juror and 1426 becomes prospective juror fifteen. Judge Perry said that there are three more people to talk to. He also has some "sitting in a holding pattern at home." At the rate they are going, they would go to 5 and he was thinking of not calling them in. Linda Burdick indicated that one had come in anyway, so there are four more people to question today. 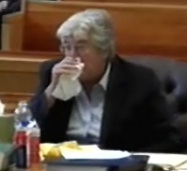 Judge Perry called a sort break and the feed went back to the Seal of the Court. The next prospective juror was number 1315. Judge Perry inquired about the juror's sister, who is very ill. The juror is said that she was "still in the woods" and it would be better to discontinue the process. He also brought a doctor's note concerning a number of back problems which need medical treatment three times a week. This juror was excused for cause. Next up was juror 1359. This juror had not heard anything about the case, except perhaps something from a few years ago. He remembered that it was a murder trial. He is another person who doesn't follow the news. As for now, he only recalled the reading of the charges. He thought it was the murder of a child. People had asked him if he is on the trial and he had refused to discuss it. None of these people gave him their opinions about the case. He said that he had made no conclusions about Casey Anthony's innocence or guilt. Jeff Ashton asked the usual questions about the media and this man seemed to be more interested in NPR and sports. Jose Baez again asked no questions. Concerning the death penalty, this juror said he has do strong feelings either for or against it. Jeff Ashton did not ask any questions about the death penalty. Ann Finnel asked him the ruler question and he said it was towards the death penalty. Jeff Ashton returned to ask general questions. He is 36 years old and is married. He is a government worker/manager with the VA, rating disabilities. His team has 16 people. Cheney Mason asked general questions, focused on his job. I couldn't figure out why he was so interested in that. Then, Mason asked if he was arrested in 1997 for a DUI. The juror said that he had been and that he wasn't found guilty. The juror claimed not to have understood the form. Then, Mason asked him who he is. He mentioned that he has one child. He felt it wouldn't effect him in the case. There were no challenges and we now have a jury pool of sixteen. We were hopefully into the home stretch now, with two jurors left to question. First was juror 1237. She recalled information about the case. She heard about it from the beginning from the 911 call to the police. She watched CNN and Nancy Grace. She thought the child was missing for 30 days, that the mother was looking on the child on her own. She saw taped interviews and that the child was found about 1/4 mile from the house wrapped in the plastic bag. She knew of George Anthony's hospitalization and saw Casey's "party"pictures. She went on and on about the case. She said that she had formed the opinion that Casey Anthony is guilty and that she couldn't put that aside if seated on the jury. The judge commended her for her candor and asked her to leave the room. She was excused for cause. Apparently, there was one juror who is 15 minutes away. Judge Perry asked Mason if they should call that one in. Linda Burdick said that the juror had a back problem and might have a hardship. The judge decided to call him in. 3163 was the next juror to be called. She hadn't used her computer because her Norton ran out! She was then asked what she knew about the case. She said that most of her knowledge came from television and the news. She said she avoided Nancy Grace. She said that the grandmother was alarmed that the baby had been missing for a month. She knew that Casey lied about the babysitter. Casey had lied about Universal Studios. There was a lot of "to-do" with crowds and media in front of the house. The mothr was put in jail and there were conversations televised between the parents and Casey in jail. She also knew about the location of the body. Also, she was aware that there was duct tape with a heart on it. She also watched hearing from the case and was able only to say that the topic was the admissibility of the evidence. She said she watched "Court TV" and listened to the anchors speak about the case. She also rambled on about concerns with "Project Innocence" and people released from jail after 25 years. This woman was very loquacious and I finally was able to understand a bit of why her report of the case had been so detailed, yet showed little knowledge of how the details fit together. She said she was a "channel flipper" and therefore, she probably picked up only bits and pieces as she went along. In a sense, she knew too much, but not enough. Linda Burdick also asked her about George and Cindy Anthony. She considered them concerned grandparents. When was asked if she was "free" of outside influence, she felt she could divorce herself from it and not use it in deliberations. At that point, my notes literally "disappeared" and I missed what questions, if any, the defense asked her about the media. One thing I remember her saying that stuck with me, however, was that she thought Casey was guilty of something, but she wasn't sure what that crime that would be. After this lengthy questioning and even lengthier answers, the juror was passed on. She managed to sail through the second and third rounds of questioning. However, she kept asking questions about the questions she was asked. This made the questioning go on for a very long time! When the questioning was finished and she was sent out of the courtroom, the defense had no objection, but the prosecution wisely chose to use a peremptory challenge! Next, we had juror 3397. He said he didn't know about the case and had not had any conversations about it. Somehow, in discussing the 50 jurors having been dismissed, it seemed that this juror thought she was guilty and then that she wasn't. Jeff Ashton had him repeat his replies. He asked if he had heard anything about the case from 2008 until he heard about the 50 jurors. He then said that when he heard the name, he remembered it from 2008. He had a hard time getting out the details. But when he started, he knew that there was a baby missing from the babysitter's and that there were wrong answers. He remembered the searches but not the details of how Caylee was found. When re-asked the question, he said he thought he could. When asked another time, he said that he felt he could. He stated that his job in the financial market requires him to have the scrolling news at his desk. Outside of his office, he uses the TV and the computer. He uses Twitter, news feeds, financial feeds. He watches CNBC. He said that he only posts on Facebook when his kids do something when it's time to share. He doesn't blog and didn't watch pre-trial hearings. Jose Baez then questioned juror 3397. He questioned about the statement that he thought "she was involved." When asked (again) if he could put his opinion aside, he (again) said he thought he could. When again asked about his exposure to the case, he said he saw it on TV at least 5 days a week for "too long" perhaps 3-5 months and that wasn't a pleasant story. Baez asked yet one more time and he responded that he thought he could. Baez asked yet again and got no better answer. Under questioning by Judge Perry, juror 3397 stated that he was for the death penalty, but could also impose a sentence of life without parole if the mitigating factors outweighed the aggravating factors. He said he would try to follow the rules. Jeff Ashton had no questions, but Ann Finnel did. He was asked the ruler question and answered that he was a 10. With that, Ann Finnel sat down. The judge was ready to send him out until Jeff Ashton reminded him they hadn't done the general voir dire. His wife is a teacher. My feed went down and picked up with discussion about dog training he observed. He works with a computer, but is not familiar with computer forensics. With that, Jeff Ashton sat down and Jose Baez took over. Baez brought up the issue of this juror's back. It gets "aggravating" when he sits to long. He said he is still recovering from a spinal fusion. He no longer goes for follow up care. Baez then brought up a work hardship in that "a lot of people talk to him" about the business. His co-workers would have to pick up the slack on the trading issues and the clients would not get the advice. Judge Perry asked more about his back situation. His surgery was in September and that he was back at work about six weeks later. Perry also reminded the juror of the accomodations they could make for him in court and on breaks for his comfort. In the end, he said that the accomodations should work for him. He was then asked to step outside. Jose Baez challenged for cause, because he had said he would "try his best" to focus on the case in spite of his problem. Judge Perry got Baez to admit that it was the defense that insisted on keeping him after the first round. Baez said that the additional questioning helped. Baez also had further grounds. Baez said his statements about Casey's guilt were very equivocal. For once, I agree with Baez! The State of Florida was called on next. Jeff Ashton didn't seem to feel that the defense hadn't asked him if it would affect his job. He pointed out that the juror sat on the witness stand for 45 minutes to an hour, got up, and walked out on his own. What he will be asked to do as a juror mirrors what he has to do in his job. Ashton pointed out a number of statements the juror made which supported his point that he said he was "confident" that he would do what he was supposed to do. Judge Perry quoted case law concerning the equivocation. It indicated that equivocation on it's own was not enough. Perry felt he felt the equivocation did not rise to a reasonable doubt as to the juror's impartiality. The defense request was denied by the judge. The defense decided not to use a peremptory challenge at that time. Based on responses from Mason for more time, the judge said he would call in three or four more jurors in the morning and then ask them to exercise their challenges. Tonight or tomorrow morning, the 17 people and a few others who have not been through the second round will be here. He wants to swear in the first 12 and whatever alternates he can then. The judge mentioned that there are no peremptory challenges for alternates. Apparently, the court knows who the alternates will be, but the jurors will not know that they are alternates. It was another long day, but an interesting one. Let's see what tomorrow brings! Court will resume at 8:30. Would like to know if Casey Anthony legs/ankles are chained. Are there any restraints on her? 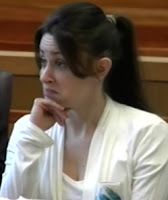 While in the courtroom, Casey does not wear any restraints as such an appearance would give an opinion of guilt and remind the jury she is in custody. The only time I have seen a juror be restrained with shackles when jurors are present the reason was that the person presented a risk of some sort. Even then, the shackles were covered by a skirt around the defense table.